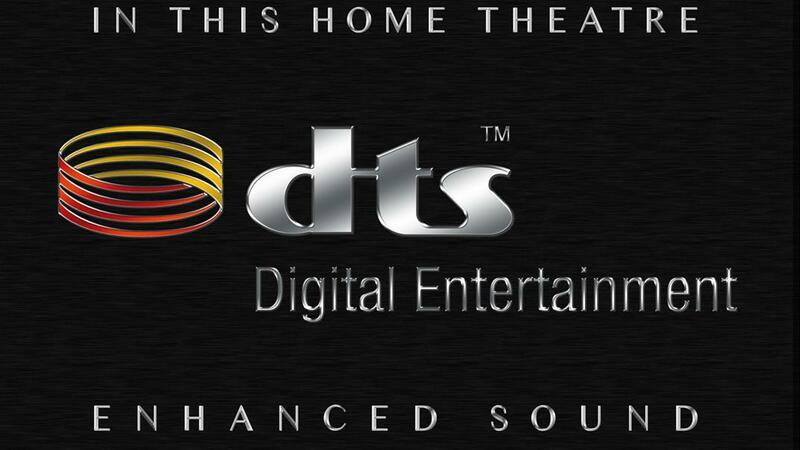 DTS stands for Digital Theatre System and is a company that specializes in creating multichannel audio systems for film. Since the first version of DTS audio was launched Laserdisc January 1997 there have been a number of audio systems from DTS. In this guide, you get a full overview. In the US DTS more famous than Dolby Digital, when it is installed several DTS - system cinema alone than Dolby Digital. The first film was recorded with DTS was Jurassic Park. After that grew DTS instantly and you got equipment for home use as DTS supported. As Dolby Digital, DTS uses as an algorithm to reduce the digital audio information, but that it should be audible. While Dolby Digital data stream reduces sharply down to 384KB / or 448kb / s used on DVD movies, then the data stream to the soundtrack DTS DVD discs 1536Kb / s or 768 kb / s. This should theoretically result in a better sound reproduction since less information is removed. But since most Dolby Digital Publishing has 448 kb / s and most DTS releases has 768 kb / s so often the difference between the two systems very small. There are also newer versions of DTS and DTS-ES 6.1 Matrix Surround and DTS-ES 6.1 Discrete Surround. DTS 6.1 Matrix has coded a center channel for trailing alone in the two discrete surround channels, while DTS 6.1 has its own discrete center channel for surround channels. These two standards are backward compatible to standard DTS 5.1. Terminator 2: Ultimate Edition is encoded with DTS-ES 6.1 Discrete. To reproduce 6.1 audio must have a separate center speaker behind and an amplifier for this channel. DTS Encore is not really different than the usual DTS audio on HD DVD and Blu-Ray. What distinguishes DTS Encore from DTS is that HD DVD and Blu Ray is assured that the maximum bit rate on 1.5Mbs used. It is mandatory for Blu-Ray and HD DVD and support DTS Encore. DTS-HD Master Audio is just like Dolby True HD a lossless audio system for up to 8 dedicated channels. (7.1). DTS-HD Master Audio allows up to 18 Mbp / s bitstream. DTS-HD Master Audio support sound 7.1 audio code for up to 24 bit / 96 kHz. Currently there are few publications that have this sound system on HD-DVD. Because of the lossless technique is Dolby True HD and DTS-HD Master Audio equal when it comes to sound quality såfremst they use the same bit resolution and sampling frequency. As Dolby True HD can only This audio system is transferred to the receiver via HDMI version 1.3. Alternative is to transform the signal to multichannel PCM or down-converted to standard DTS audio with a bitrate of 1.5 Mbit / s.
In addition to the Home - use are DTS CD for music. DTS - recorded CDs provide a fantastic sound, which is clearly superior regular CD.